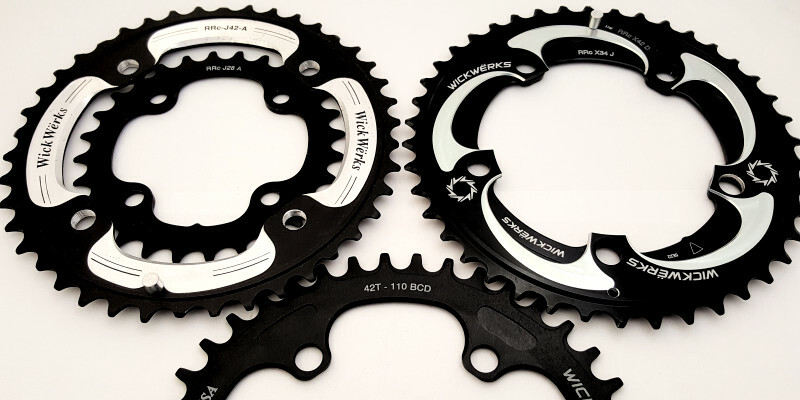 Bicycle Chainrings As The Performance Difference For Serious Cyclists. WickWërks Chainrings, by Synthesis. The photo shows a collection of 42 tooth bicycle chainrings (aka sprockets or gears) designed specifically for Mountain Bikes & Cyclocross. They are (the shifting ones), “The World’s Fastest Shifting Bicycle Chainrings” because they incorporate unique and aggressive shift ramps. The Technology is officially named Bridge Shift Technology and is covered by several patents like this one, and this one. The lower ring of the three in the photo (middle) is a “Z-Ring”. 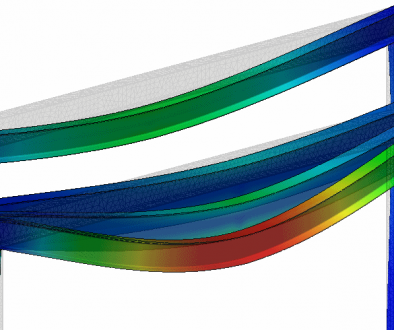 “Z’s”, are special single rings also designed here at Synthesis which include unique design features and advantages over other 1X narrow-wide technologies. Patents for all of these technologies (and a new bicycle derailleur technology) exist or are pending. It’s cyclocross season, and again we see many of the top cyclists running these or similar WickWerks chainrings. These represent a performance advantage for riders as they tackle diverse terrain from dirt and grass and cement to deep sand and mud bogs. Then sometimes steep hills with muddy slippery off-camber being the worst. But, that’s cyclocross, and we love it! Racers looking for a performance advantage are using these chainrings, because every little bit counts in the heat of competition. We see these shift when others won’t, and they shift faster. That’s by design, and it’s something we’ve worked hard to perfect. Judging from results in World Cup races, as well as local races all over, we see it as success. Bicycle chainrings with this shift technology are available for many cycling disciplines: Road Bike, Mountain & Cyclocross. And, they are available in a lot of unique sizes that other manufacturers say can’t be done. For instance, a road bike 53/34 set to give the best of both ends — climbing and speed. Innovations like that are the result of creative thinking made possible with this chainring shift technology. 1X rings are also available in many sizes. Visit WickWerks.com to get yours. Then, enjoy this fun technology and a whole lot more brought to you in part, by Synthesis Engineering and Innovation. Chainrings are one area where Synthesis has made an impact in the bicycle industry. We’ve also assisted with several mountain bike front suspension forks, designed one road bike fork, assisted a couple companies with brakes (both rim and disc), and we’ve contributed to saddle design, pedals, multiple derailleur designs, and efficiency improvement concepts. Even a crazy promotional feature for racing. We love working in the bicycle industry and we love seeing happy customers riding products we’ve worked on. 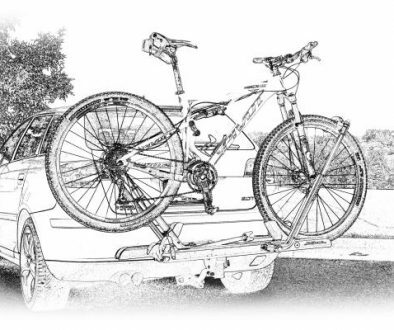 This is how we roll, and we’re ready to assist with your new bicycle creation. Get in touch.